The 2016 Sanderson Farms Championship golf tournament on the PGA Tour is taking place this week from October 27-30, 2016, at the Country Club of Jackson located in Jackson, Mississippi. Here is the a list of the prize money up for grabs for the PGA golfers at the 2016 Sanderson Farms Championship. The Sanderson Farms Championship is an alternate PGA Tour event being played opposite the WGC-HSBC Champions golf tournament this week. As an alternate event, the winner does not receive a Masters invitation but does get a two-year PGA exemption, a trip to the 2017 PGA Championship and the winner does earn FedEx Cup points. 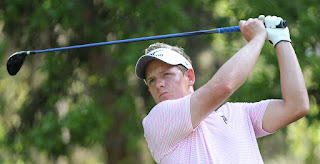 Notable golfers to win the Sanderson Farms Championship include Luke Donald (2002), Bill Haas (2010) and Chris Kirk (2011). Total prize money up for grabs at the 2016 Sanderson Farms Championship is $4.2 million, up 2.4% over $4.1 million in 2015. The winner of the 2016 Sanderson Farms Championship will earn $756,000. That's up 2.4% over the $738,000 Peter Malnati earned when he won this tournament last year. The prize money is well below what most PGA tournaments pay, usually well over $1 million, but it's nothing to sneeze at. Second place is worth $453,600 at the 2014 Sanderson Farms Championship. William McGirt and David Toms split $721,600 with each player earning $360,800 when they tied for 2nd place here last year. Third place at the 2016 Sanderson Farms Championship alternate PGA Tour event is worth $285,600.